While the city’s parks and streets are growing exotic plants, native trees are flourishing around churches, temples, cemeteries and even roadside shrines. In Bengaluru, religious spaces are doubling up as repositories of its depleting natural heritage. Old native trees have been rampantly cut down across the city, mostly for road widening, but they are flourishing around places of worship. From swaying conifers in churchyards to imposing peepal trees at temples tucked away in the bylanes of central Bengaluru, the city’s religious places shelter more native tree species than most other spaces. This is among the findings of two independent studies on sacred spaces in Bengaluru, both published in the May 2018 edition of the journal Science Direct. As Bengaluru has become one of India’s fastest growing cities, its green cover has shrunk rapidly, losing out to infrastructure development brought on by the information technology boom. Now, it is left with just a few patches of greenery in central Bengaluru that include heritage parks, educational institutions, government establishments and sacred spaces, according to one of the studies titled Biodiversity in Sacred Urban Spaces of Bengaluru, India. These places house a relatively larger proportion of native trees than newer streets, parks and other public spaces, which are heavily biased towards ornamental and exotic species, the study found. After visiting 62 religious sites in 2012 and examining 5,504 trees in a 6-km radius of central Bengaluru, Nagendra and her team found a relatively even distribution of native and introduced tree species. Of the 93 species recorded, 48 were native species. 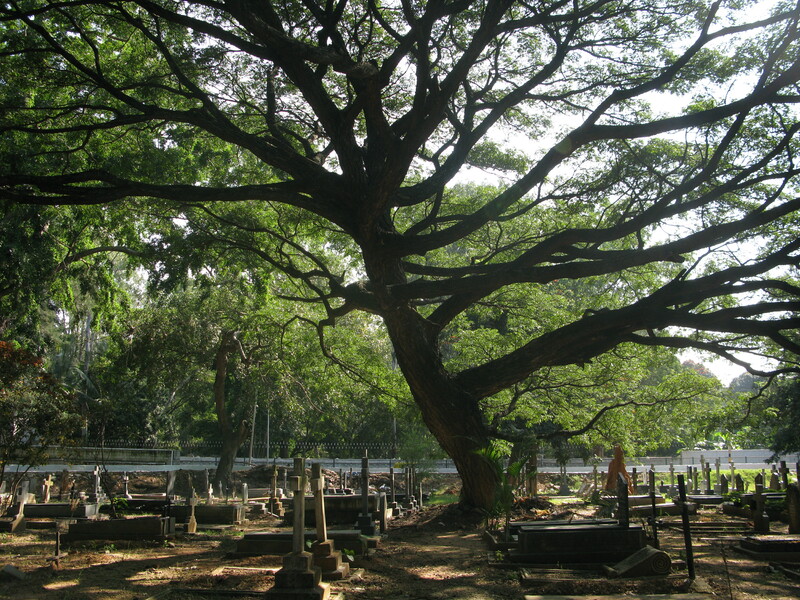 Muslim cemeteries had the highest tree density, while Hindu cemeteries had the largest proportion of native tree species of 74.8%. 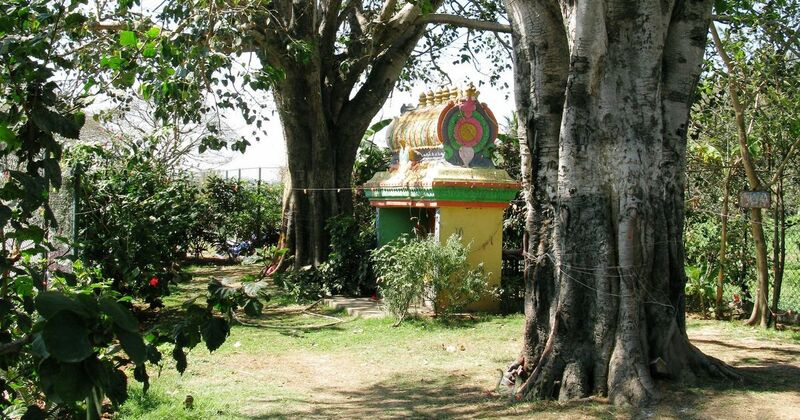 The native Ficus religiosa, or scared fig, dominated the spaces around temples and Hindu cemeteries but was either absent or not dominant at churches, and Christian and Muslim cemeteries. The conifer or the Christmas tree was only dominant at churches. This pattern of tree distribution extends to even small roadside shrines. Katte, as they are called in Kannada, have an abundance of native species of trees, shrubs and herbs, according to the other study conducted by Divya Gopal, a researcher based in Berlin. In her study, Gopal also examines how urbanisation influences the kind of trees that are planted. In parks and public spaces in older parts of the city, more traditional varieties of trees are found while newer areas like Jayanagar have more ornamental and exotic plants. This pattern is not seen at sacred spaces. “Across Bengaluru, from wealthier neighbourhoods such as Indira Nagar to older places such as Chikpet, native species still dominate sacred spaces,” she said.